Top 20 FAQs about SEED Scholarships in Delaware | Back to Basics Learning Dynamics, Inc.
1. When does the SEED Scholarship Program begin? The SEED Scholarship Program begins with the fall semester immediately following high school graduation for any high school graduate who has met all eligibility requirements. 2. Does the SEED Scholarship cover tuition, fees, and books? 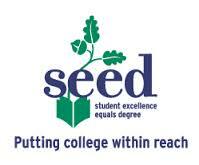 The SEED Scholarship covers tuition only after other financial aid received is deducted from the total tuition costs. Fees and books are not covered. 3. I am a home-schooled student; can I apply? Yes. Home schooled students must meet the same eligibility requirements as traditionally schooled students in terms of residency, full time status, financial aid, etc. Home schooled students must provide a copy of their transcript. In the event a home-schooled student does not have a transcript, the student is required to provide proof of scoring at least a combined score of 1350 on the new SAT or a composite ACT score of at least 19. 4. I attend a private high school in Delaware; can I apply? Yes. Students who are Delaware residents, have graduated from a Delaware high school – both public and private, and meet the eligibility requirements may apply. 5. I am a James Groves High School graduate; can I apply? Yes. James Groves High School graduates who meet the other requirements are eligible to apply for the SEED Scholarship. Individuals receiving a GED® from Groves are not eligible for the SEED Scholarship; however, they may be eligible for other forms of financial aid. 6. When should I apply for the SEED Scholarship? You should complete and return the SEED Scholarship application with an academic transcript, a Delaware Tech admissions application, and the College’s $10 application fee after the second marking period but prior to April 15. You must submit your Free Application for Federal Student Aid (FAFSA) which is required for SEED Scholarship eligibility. You are required also to submit your final high school transcript by June 30 which will be used to determine if you met the academic requirements associated with the program. 7. What happens if I miss the April 15 deadline? Am I still eligible? Yes. You are still eligible. Because annual funding at a certain level for the SEED Scholarship Program is subject to approval by the Delaware General Assembly, Delaware Tech must have an established priority process in place in the event the amount of eligible scholarships exceeds the approved funding. Students meeting the April 15 will be given top priority (Group 1). If you apply after the deadline, approval of your scholarship is based on the availability of funding after the awarding of scholarships to Group 1 students and the following criteria in order of priority: (1) Academics/GPA; (2) Demonstrated financial need; and (3) Community service. 8. What happens if I take a semester off from college after the fall semester? A student would no longer be eligible for the SEED Scholarship unless granted an exception upon appeal from Delaware Tech’s Financial Aid Office. 9. Are undocumented students eligible for the SEED Scholarship? Yes. Undocumented students must meet the same eligibility requirements as documented students regarding attendance immediately from high school, academics (GPA), felony convictions and enrollment as a full-time student. To qualify as an undocumented scholarship recipient, the student must have: (a) attended a high school located within the State of Delaware for two or more years; (b) graduated from a Delaware high school; (c) applied for all campus-based financial aid (scholarships, etc.) for which they would be eligible; and (d) submit a notarized Tuition Affidavit (available in Delaware Tech’s Financial Aid Office) which certifies that the student is an undocumented person and that he/she has filed an application to legalize his/her immigration status or will file an application to legalize his/her application status as soon as he/she is eligible. 10. Do I have to take advantage of the SEED Scholarship directly out of high school? Yes. A student must be admitted to and attend classes on a full-time basis at Delaware Tech or in the Associate of Arts degree program of the University of Delaware no later than the fall semester immediately after his/her graduation from a Delaware public or non-public high school. 11. Is there an appeal process for students who cannot attend Delaware Tech the Fall semester after graduation, due to military service or a medical condition? Yes. A student who cannot attend the Fall semester immediately after the student’s graduation from a Delaware public or non-public high school due to extenuating circumstances such as military service or a medical condition may request an appeal through the campus Financial Aid Office. The appeal process requires a written statement from the student and documentation of the extenuating circumstance. This process shall be administered under the direction of the Vice President for Finance.The student will be notified in writing of the appeal process decision. 12. Do I have to attend full-time (12 credits or more) and declare a major to be eligible for the SEED Scholarship? 13. If I want to transfer to another Delaware Tech campus, will I maintain my scholarship? Yes. A student must provide written notification of the intent to transfer to another Delaware Tech location to the campus Financial Aid Office which awarded the original scholarship. After the transfer has been confirmed by both campuses, the scholarship will be transferred to the new campus. 14. How do I apply for the SEED Scholarship? Obtain a Delaware Tech SEED Scholarship application from the Financial Aid & Scholarships section of the Delaware Tech website. You may also obtain a brochure from your high school guidance counselor or any Delaware Tech Admissions or Financial Aid Office. If you meet all eligibility requirements after the second marking period of your senior year, complete and submit the application to the Delaware Tech Financial Aid Office at the campus you plan to attend; the deadline to submit your information is April 15. You must apply for Financial Aid by completing and submitting the FAFSA form no later than June 1 for priority awarding. 15. What does my cumulative high school grade point average (GPA) need to be? A student’s cumulative GPA must be 80 percent or higher on a 100 point scale, a 2.5 on a 4.0 scale or a C+ for those schools awarding letter grades. 16. What cumulative grade point average (GPA) must I maintain once I am a student at Delaware Tech? The student must maintain a 2.5 cumulative grade point average (GPA) at the end of each academic year. The cumulative GPA will be reviewed for compliance at the end of each summer semester. 17. Do I have to apply for financial aid even though I know I will not qualify to receive such aid? Yes. Applying for all forms of financial aid for which the student qualifies is an eligibility requirement for all SEED Scholarship applicants. Applying for financial aid can be accomplished by completing the Free Application for Federal Student Aid (FAFSA) at www.fafsa.ed.gov by the June 1 deadline date. If you and/or your parents are required to complete a Federal Income Tax return, please do so prior to applying for financial aid. 18. What is the deadline date for applying for financial aid for the Delaware SEED Scholarship? Students should submit the FAFSA electronically at www.fafsa.ed.gov no later than June 1. 19. How will I know if I have been awarded the Delaware SEED Scholarship? Students will receive an award letter from a Delaware Tech Financial Aid Office starting in July after verification of their high school graduation and final cumulative grade point average (GPA). 20. I have a felony charge pending against me; can I apply? Students who have felony charges pending against them must sign a certification stating that they will notify the appropriate Delaware Tech Financial Aid Office if they are convicted. Students convicted of a felony will no longer be eligible for the SEED Scholarship.